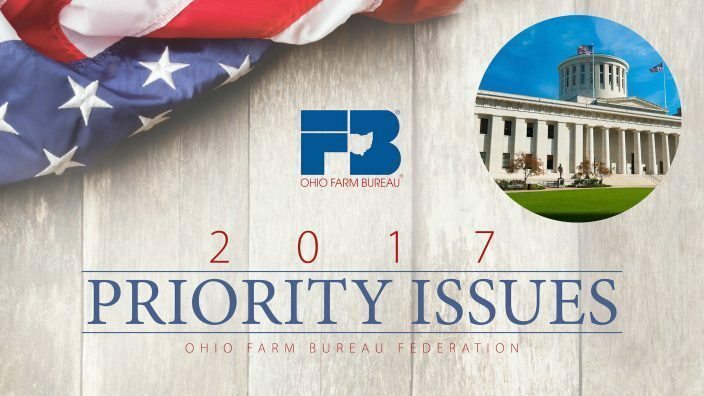 Ohio Farm Bureau has set its state and federal policy priority issues for the year. The organization’s grassroots policy process surfaces and determines areas that have a significant impact on production agriculture, the food system and rural communities. These priorities are where Farm Bureau will focus efforts for the continued strength and success of Ohio agriculture. State Budget: No bill is more important to the operation of key state agencies and programs that support agriculture than the state’s two-year operating budget. 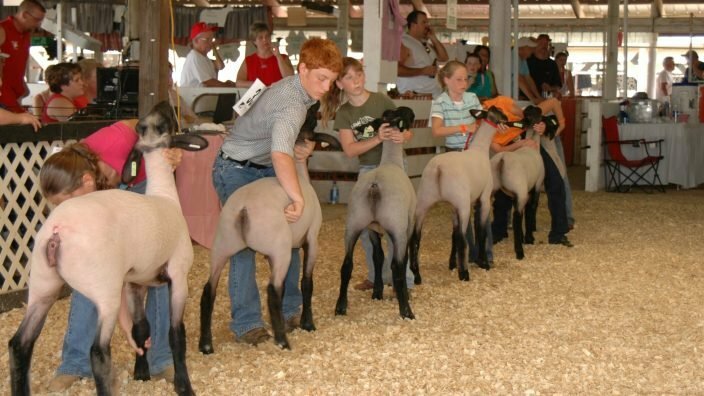 The Department of Agriculture must be funded at levels that allow it to effectively carry out its core mission as well as new responsibilities such as the implementation of the federal Food Safety Modernization Act, nutrient management regulations, fertilizer applicator certifications, and oversight of Ohio’s Soil & Water Conservation Division. Farm Bureau also will support funding for water quality programs that produce science-based data and strategies, and can verify on-the-ground practices and results to protect Ohio’s water resources. This includes support for the Ohio Sea Grant program, OSU Extension and Heidelberg’s Water Quality Lab as well as dollars for infrastructure and equipment needed to solve the problem. 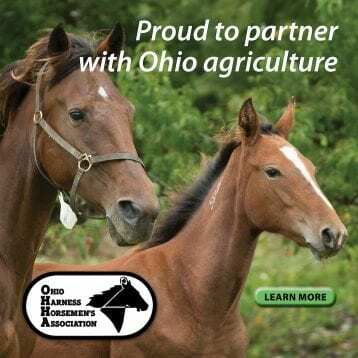 Funding for Ohio Agricultural Research and Development Center, the Agricultural Technical Institute, Soil and Water Conservation Districts, and agricultural education programs is also vital to agriculture’s success. Farm Bureau will engage on additional issues, which may include workforce development programming at Ohio’s land grant institutions, including both Ohio State University and Central State, health care accessibility and fighting the rural drug abuse epidemic. Water Quality: Ohio Farm Bureau will continue to lead statewide agricultural efforts to proactively solve the challenge of nutrient runoff and the impact of harmful algal blooms to Ohio’s waters. With the continued development of the Demonstration Farms network and additional current research data available from the various edge-of-field studies, Farm Bureau will have expanded opportunities to share real world examples of impactful management practices on the farm as well as educate consumers about our efforts. Additionally, OFBF will use these resources to keep the focus on taking a science-based approach when addressing our state’s water quality needs. The organization will work to ensure all members have met the upcoming deadline for the fertilizer applicator certification requirements under Senate Bill 150 and proactively encourage the use of the principles of “4R Nutrient Stewardship” (right source, right rate, right time, and right placement). Ohio Farm Bureau also will assist in implementing an action strategy for the collaborative agreement among Ohio, Michigan, and Canada to reduce nutrient loading to the Western Lake Erie Basin. 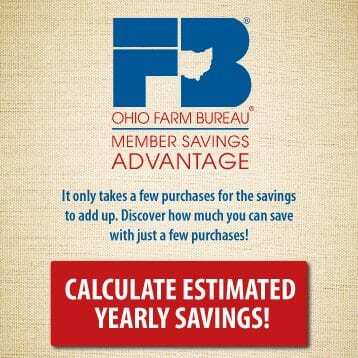 Taxation and Business Climate: Farm Bureau will advocate for tax policy that strengthens Ohio’s economic competitiveness with a primary focus on the Current Agricultural Use Value (CAUV) program. While the CAUV program has served as a critical farmland preservation tool for more than 40 years, Farm Bureau will advocate for targeted changes to the program. Reform to Ohio’s Unemployment Compensation system will remain a key item of discussion in the 132nd General Assembly to pass reforms that ensure long-term solvency for the fund while remaining a safety net for Ohio’s workers and not overly burdening the business community. Farm Bureau will be the voice for agriculture to press for needed reform to the many labor and unemployment issues facing agriculture today. Transportation: The integration, maintenance and expansion of the state’s highway, rail, water and air systems is important to ensure all Ohioans have access to vital goods, services and markets. 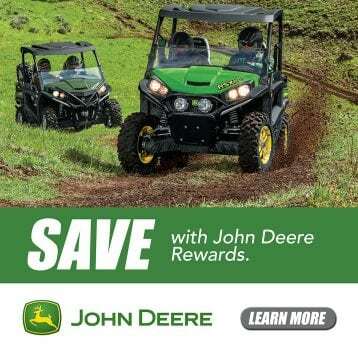 Farm owners and their employees need access to this transportation network based on reasonable regulations for their goods and farm machinery. Farm Bureau will work to ensure those regulations include Commercial Driver’s License and axle weight limit exemptions for the operation of farm trucks and/or transporting machinery as part of farm and agribusiness operations. As infrastructure improvements are made, Farm Bureau will be there to make sure farm machinery will continue to have access to the roadways. Education and Economic Development: One of the best ways to build strong communities is to provide young people with a quality education. 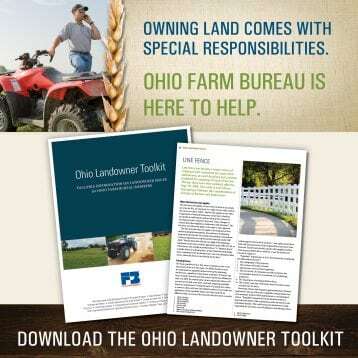 To ensure Ohio remains an agricultural leader, employers need a skilled and reliable workforce. Many jobs in agriculture require the kind of training students are receiving today in career tech and agricultural education programs. Farm Bureau will advocate for career tech education to encourage growth of ag education programs across the state. Farm Bureau also will support the FFA program along with student access to excellent facilities. Having value-added enterprises in Ohio, such as food processors, wineries and distilleries, creates numerous economic opportunities for local businesses including farms. Farm Bureau also will support the development of businesses that produce value-added products from locally grown agricultural commodities. Drug Epidemic: Opiate addiction has become an epidemic in our state, harming families and impeding workforce development for employers. 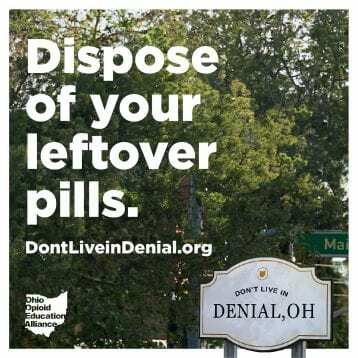 Ohio Farm Bureau will continue to seek funding and community support to battle opiate addiction that includes programs that focus on housing, employment, treatment, medication and methods to reduce relapse, as well as enforcement of laws and protections for rural residents and their property. 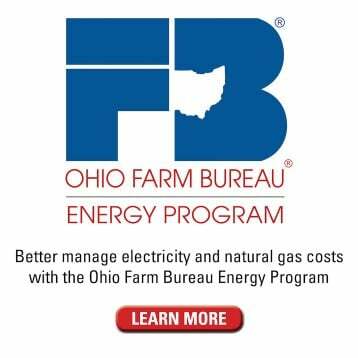 Energy: Development of the state’s comprehensive energy policy continues to be a priority for Ohio Farm Bureau. Agriculture is being called upon to provide feedstocks to help produce energy, as well as accommodate generation, transmission and distribution infrastructure on farm ground. In 2017, Farm Bureau will provide education and outreach for its members. Finding ways to ensure energy lease and easement holders are provided information on project developments and advocacy in regulatory proceedings will be priorities. Farm Bureau will promote a diversified energy portfolio of advanced technologies which includes, but is not limited to, coal and nuclear as well as cost effective renewable technologies. 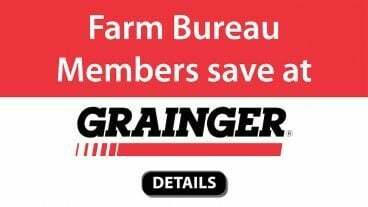 Farm Bill: With the current farm bill set to expire in 2018, Farm Bureau will work to maintain a farm safety net to help farmers through market fluctuations and harmful weather. Farm Bureau will support actions for a farm bill that provides a basic level of protection to help all farmers, as well as supporting programs that identify specific needs. Regulatory Reform: All Americans, including farmers, need a regulatory system that is fair, takes economic impacts into account and respects our freedoms. Farm Bureau will oppose expansion of federal jurisdiction under the Clean Water Act, oppose implementation of the current Waters of the U.S. rule, and strive to advance legislation to reform the Endangered Species Act, preserve farmers’ land-use and water rights, and improve the federal regulatory process. Business Climate and Farm Economy: Our tax code falls short of recognizing the challenges faced by Ohio’s farmers and the unique variability in agriculture. Farm Bureau will work to advance reform that reduces the tax burden and encourages growth and prosperity on multigenerational family farms. Farm Bureau will also work to advance legislation that addresses agriculture’s long- and short-term labor needs including support for needed immigration reform. Trade: With 95 percent of the world’s population living outside the United States, American farmers must have access to foreign markets if we are to boost farm profitability and sustain our agricultural industry for the next generation. Farm Bureau will work for greater access to global markets both through new trade agreements and enforcement of existing trade commitments. Technology: Technology enables farmers to be more productive and efficient in using resources. Farm Bureau will protect farmers’ access to and use of biotechnology, monitor implementation of any GMO labeling rules, and support efforts to help consumers understand the importance of biotechnology. 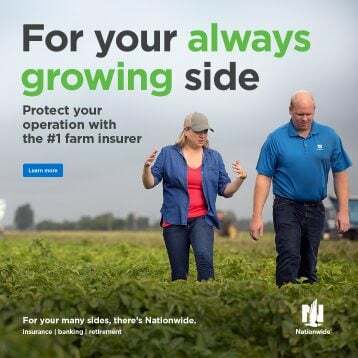 Farm Bureau also will work to protect farmers’ interests concerning other technologies, including the use and regulation of unmanned aircraft as well as data services.